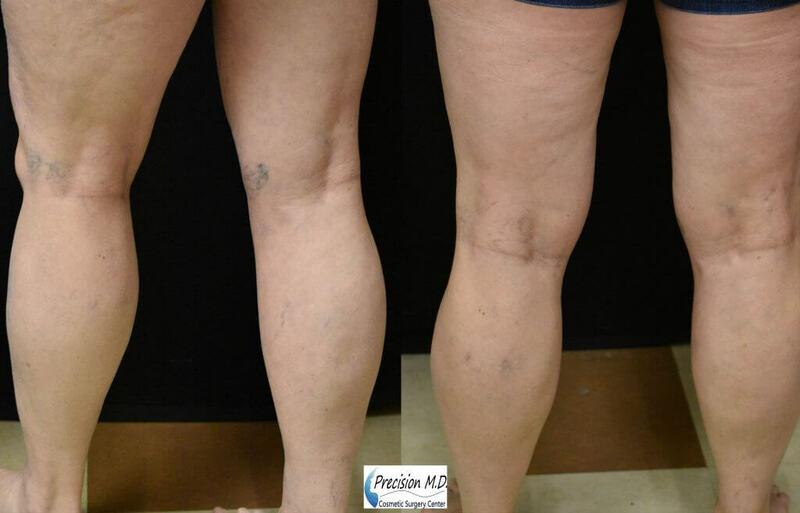 Eliminate your spider veins with Precision MD Cosmetic Surgery Center Gentle YAG laser. The spider veins on your legs are targeted by the “gold standard” of lasers, the Gentle YAG. The laser light is absorbed by the Hemoglobin in your blood, which heats the blood and eliminates the unsightly spider veins. Why Gentle YAG for Spider Veins? Spider or varicose veins are unsightly veins that are caused by the dilation of a group of blood vessels close to the surface of the skin. Although they can appear anywhere on the body, they are most often found on the face and legs. Sclerotherapy is a medical technique doctors use to rid patients of spider veins and varicose veins. The doctor injects a solution, usually a saline solution, straight into the vein during the sclerotherapy procedure. This irritating solution causes the lining of the blood vessel to stick together and collapse, and the blood to clot. The formerly visible veins collapse inward, form scar tissue, and are absorbed by the body. Although this is technically a medical procedure, the removal of these unsightly veins is prompted by aesthetic concerns, because they do not cause health problems. How Is The HALO Laser Different From Traditional Sclerotherapy? Although sclerotherapy is minimally-invasive, it is still invasive. Sclerotherapy requires direct injections into veins. In contrast, the HALO laser targets spider veins with light, and is entirely non-invasive. The hemoglobin in the blood absorbs the heat, causing the vein to collapse and be absorbed by the body. The vein will slowly disappear over the next few days and weeks as the body works on removing the collapsed vein material. Am I A Good Candidate For HALO Laser Treatment? Spider veins do not generally cause health problems and are most often removed purely for aesthetic reasons. If you are self-conscious about these veins on your body, then you are a good candidate to have them removed. Is The HALO Laser Treatment A Painful Procedure? The HALO laser evokes very little pain and uses a patented cooling device to help keep you comfortable. How Many HALO Sessions Will I Need? It depends on the severity of your veins. Dr. Khattab will consult with you to determine the number of treatments required. The results of the HALO treatment are not immediate. The vessels will gradually become a lighter red and disappear within two to six weeks. 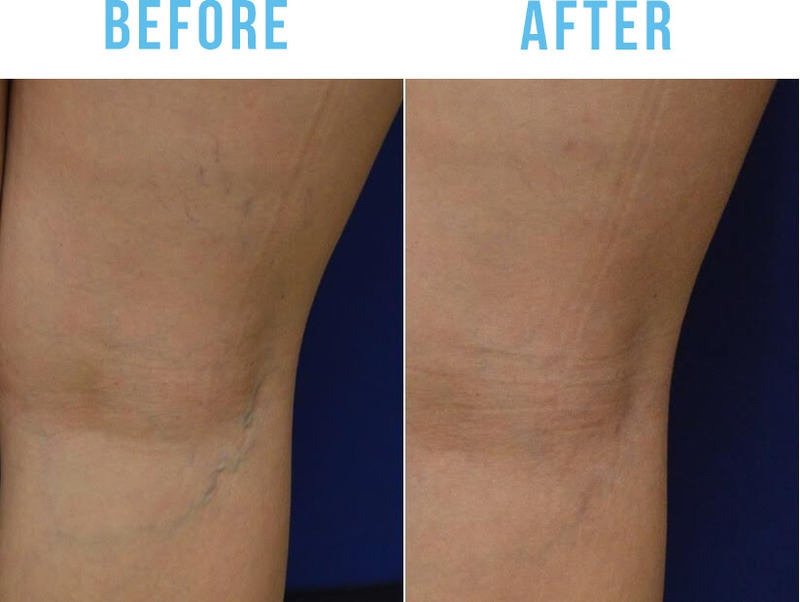 Get rid of unsightly spider veins once and for all. Contact our office today for more details.